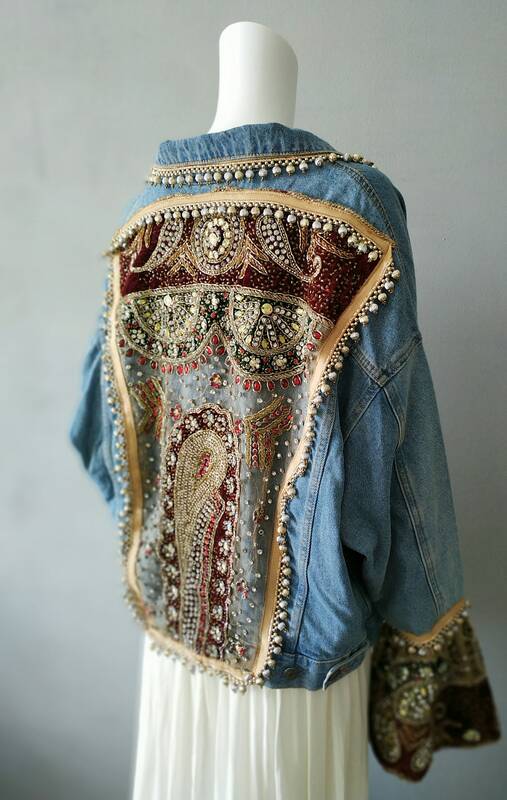 Spectacular denim vintage jacket, customized with Indian vintage textiles and unique and exclusive Indian jewelry. 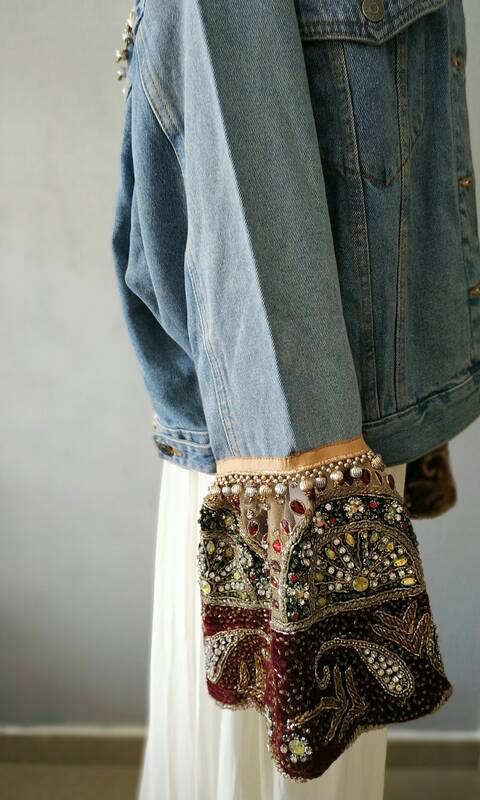 Rhinestones and ruffles in cuffs. 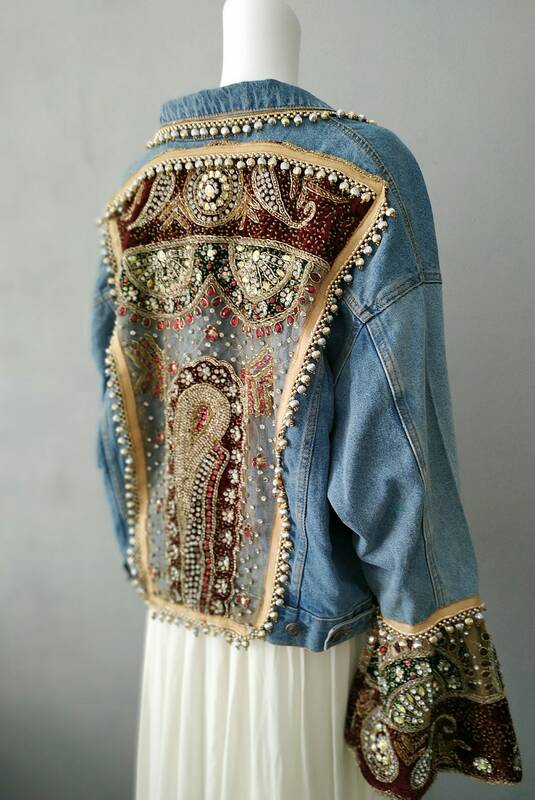 Each jacket is unique and exclusive. 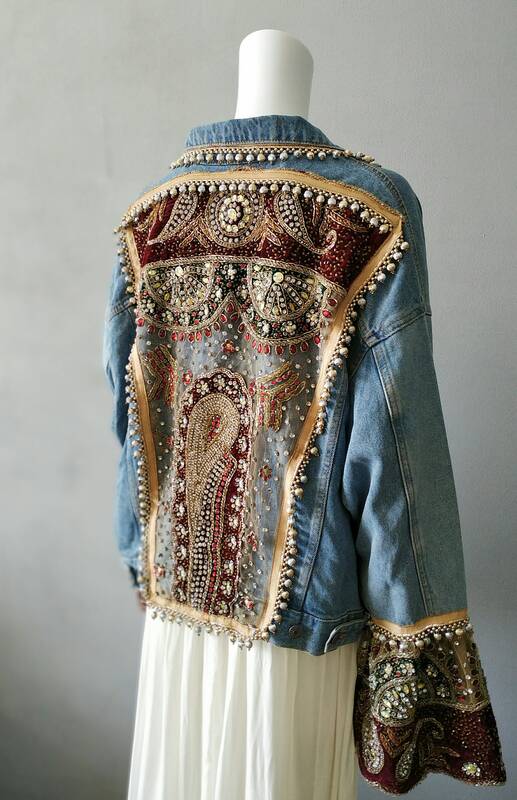 No two jackets are the same.